Nanjing Road features hundreds of shops, ranging from expensive boutiques to cheap gift stores. The Shanghai Museum, located on the People's Square, houses some of the most important ancient Chinese art, including over 100,000 sculptures, furniture, paintings, cons, calligraphy, ceramics and more. Located next to the City God Temple, Yu Garden is a beautiful place for a romantic walk over gorges, caves and cliffs of the Grand Rockery. After exploring the garden, visit the temple and over a hundred shops in the area. Here are the best romantic hotels in Shanghai. Banyan Tree Shanghai on the Bund is located in the northern Bund area, close to many historic landmarks of old Shanghai and modern commercial centers. 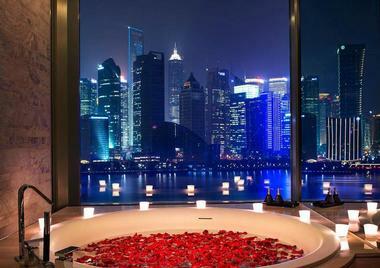 The property overlooks HuangPu River and the city skyline, and offers romantic suites with pools and spectacular views. Relax at the three-story spa with a beauty salon, nail bar and Gallery. 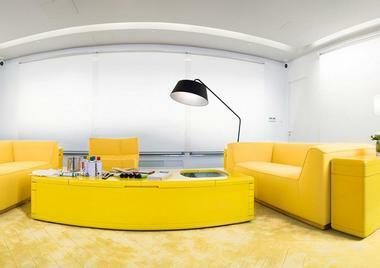 The 11 treatment rooms reflect the theme of the Five Elements and a contemporary design. Choose from a number of signature spa packages. Guest accommodations offer spectacular city views through huge wall-to-wall windows. Rooms feature modern decor, including a chaise lounge window seat, marble-tiled open bathroom with river views, and a private dressing room. 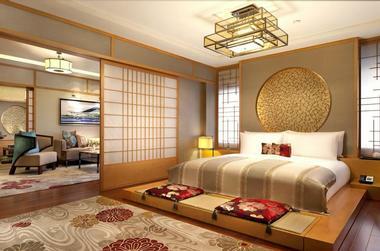 Room choices include the Riverside Retreat with views of Huangpu River and either a King or a Twin bed. Panorama Riverside Retreat offers a similar configuration. Located on levels 3-7, the Bund Retreat has views of Lujiazui and the Bund. The Panorama Bund Retreat is situated on floors 8 - 12. Designed especially for couples, the Oasis with Romantic Pool has a pool with fabulous river views. Panorama Oasis with Romantic Pool is also a great option. Enjoy 180-degree views of the Huangpu River from the Grand Riverside Retreat. The Grand Bund Retreat measures a spacious 89 square meters and offers a 180-degree view of the Huangpu River. Curl up on the couch next to the window. If you are planning a honeymoon or romantic getaway, check into the "Oasis with Romantic Pool," a suite designed for couples with a luxurious private dipping pool. The Banyan Suite is the most spacious, spanning two floors with a private pool, timber sundeck, loungers and an outdoor garden and dining area. Measuring from 123 to 128 square meters, the Riverside Suite has spacious living and dining areas. Bund Suite has a one bedroom, separate living and dining areas and sleek interiors. Enjoy 180-degree views of the Huangpu River and contemporary amenities from the Grand Riverside suite. Grand Bund has a grand foyer and a luxurious layout, perfect for a business meeting or an intimate event. Banyan Suite is set on level 12. It features one bedroom, living and dining rooms, timber sundeck, loungers and dining area. Guests enjoy exclusive 24-hour Banyan Tree Host service. Rooms start from RMB 2,100 per night. The Oasis with Romantic Pool is RMB 2,600 per night. VacationIdea.com Tips: Ask about romantic and honeymoon packages. 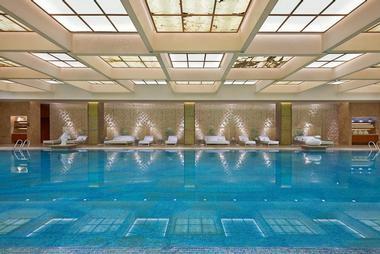 Mandarin Oriental – Shanghai is a luxury getaway with a dazzling lobby and five star service. 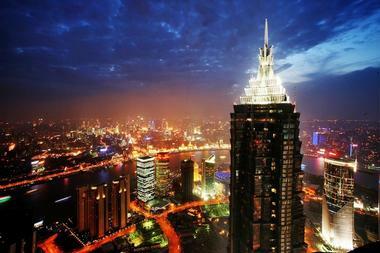 The hotel is located beside the Huangpu River in the central financial district. The hotel is very close to the Shanghai World Financial Centre and IFC. It is just 10 minutes away from the historic Bund. You will be able to reach the main attractions in Shanghai easily. The hotel has 44 suites and 318 rooms, decorated in a sophisticated style. Guests can choose from 14 suite and room types. Ask for a room with a view of the river and the harbor to enjoy the best Shanghai vistas on vacation. The suites feature Oriental rugs, hardwood flooring, silk blankets and private wine. The Presidential Suite is the one of the largest in Shanghai. If you are planning a longer stay, book one of the executive apartments. The hotel has three great restaurants. Fifty 8 Grill serves modern French food in an elegant setting. Yong Yi Ting serves regional food, while Zest serves the finest international and Asian cuisine. Try the dim sums and pastries at the Zest. Don't miss the freshly-baked sourdough breads and wood-fired dry-aged meats at Fifty 8 Grill. There are three bars and lounges at the Mandarin Oriental. Riviera Lounge is for afternoon tea. The Cake Shop serves sumptuous cakes and patisseries, including sumptuous truffles. Qi Bar is an open bar with crystal lighting serving contemporary and classic cocktails. You will also get wines, soft drinks, beers and single malts. The best DJ's of Shanghai play at Qi Bar. The hotel spa is the place for relaxation and rejuvenation, with luxury facilities such as aroma showers, tepidarium chairs, an ice fountain and sauna. There are suites for couples and VIP rooms for added luxury. The spa has a separate lounge for foot massage, and stations for pedicure and manicure. You will find many holistic therapies and treatments in the spa menu. Room rates start at CNY 2,800 per night (+86 21 2082 9888). Luxury suites include One Bedroom Suites as well as specialty suites named after countries of the world. The English Suite has fireplaces and Victorian-style decor. The Chinese Suite has a unique Imperial dragon design on the ceiling, red furniture and gold-colored walls. A moon gate separates the living room and the dining room where up to 8 guests can be accommodated for intimate private dinners. ther options include the Italian, French, Japanese, Spanish, Indian and German Suites. Furthermore, the Signature Riverview Suite offers stunning views of Pudong across the Huangpu River. Sassoon Presidential Suite at the hotel is one of the most luxurious suites in Shanghai that occupies the entire 10th floor penthouse. The hotel spa incorporates modern and traditional Chines healing techniques in an opulent setting. The spa has luxurious single and double treatment suites. Couples can choose from numerous side-by-side treatment options. The spa has special facial skincare suites, a manicure and pedicure lounge, a Spa Relaxation Zone and a boutique. The hotel restaurants and lounges are a popular destination for visitors as well as locals. Celebrate an anniversary, a romantic proposal or have an elegant dinner with friends. For Chinese food, head to Dragon Phoenix which serves Shanghainese and Cantonese cuisine. The restaurant has four private dining rooms for intimate celebrations. The Jazz Bar is reminiscent of the private clubs of the 20s and 30s. The bar serves European and local dishes, as well as an extensive cocktail list. Room rates start at 2,000 CNY per night, Fairmont Gold rooms from 2,800 CNY per night. The Hongta Hotel in Shanghai provides you with a stylish base for exploring the Bund and Century Park. The hotel has an award-winning Italian restaurant, indoor swimming pool, fitness center and a spa. 24-hour hotel butlers dedicated to attending to their guest's every wish. The hotel offers 328 elegant rooms and suites, accented by exquisite Chinese art and ceramics. Each bedroom has a custom-designed pillow-top bed, downy duvet and soft cotton bedding. For best views of the city, ask for an Executive Deluxe Room which will also give you access to the perks of the Executive Lounge. The hotel offers several luxury suite layouts, from the Grand Luxe Suites and Mandarin Suites to Beijing and Shanghai Suites. 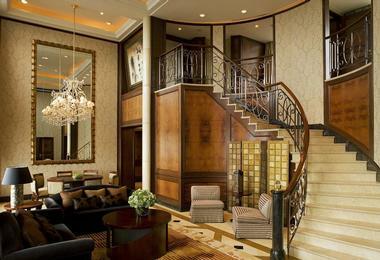 The Imperial Suite is the most luxurious and features decor inspired by New York City. The suite has a residential feel and a two-story layout which makes you feel like you are floating above Shanghai. The Spa offers a varied menu of services and relaxing facilities, including a sauna and steam baths. Enjoy a rejuvenating swim in the heated indoor pool before you head to the spa for a relaxing massage. If you prefer a treatment in the privacy of your room or suite, that is available as well. Danieli's Italian Restaurant offers spectacular views of Shanghai and classic Italian dishes. Saints International Restaurant is an elegant all-day restaurant serving an international buffet as well as a la carte dishes. Mezzanine Lounge offers live music in the evening, as well as afternoon tea, cocktails, cigars and fine wine. Room rates start at CYN 783 per night (86)(21) 5050 4567. 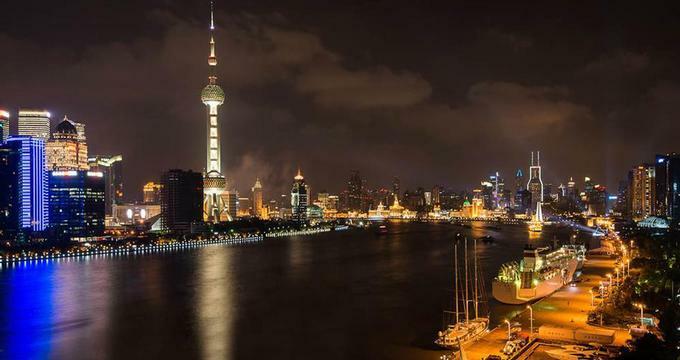 Enjoy spectacular views of the Shanghai skyline from the Waldorf Astoria Shanghai on the Bund. Get pampered at the luxurious hotel spa and have gourmet meals at the restaurants. The hotel offers 240 rooms and suites. Ask for a room with a view of the river. The hotel spa offers a diverse menu of therapies which incorporate contemporary innovative techniques as well as Traditional Chinese Medicine. The spa has eight treatment rooms with a private steam room and rain shower. Book the 1,000 square foot VIP suite for the ultimate indulgence. The VIP suite has ts own couples steam room, thermal Jacuzzi, a fireplace and a large relaxation area. Grand Brasserie serves dishes from around the world and Champagne Brunch on Sundays. Pelham's offers modern French cuisine. Wei Jing Ge serves authentic Chinese Regional cuisine from Shanghai, Canton and Huai Yang. Long Bar serves classic cocktails, champagne, selections of fine wines and premium whiskeys. Red Velvet Afternoon tea is offered at Salon de Ville. Peacock Alley is an elegant venue serving coffee, tea, cocktails and champagne. Room rates at the hotel start at 2,700 CNY (+86 (0)21 6322 9988). If you love partying, you have to check of Music Room at the Park Hyatt Shanghai, the highest nightclub in the world. The luxury hotel towers high above the city, located on the floors 79 through 93 of the Shanghai World Financial Center in China. This five star hotel offers all the modern convenience a business or leisure traveler may desire. Water's Edge Spa is a soothing oasis offering a diverse menu of treatments and packages. Try the spa's signature massage to stimulate the nervous system and support healthy circulation. 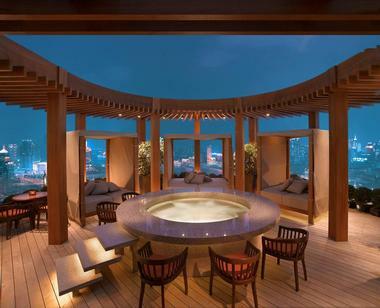 Located on the 85th floor, the spa features an infinity pool, whirlpool spa and steam room. In the morning, practice Tai Chi in the Tai Chi courtyard. Choose from rooms overlooking Huangpu River or the city. Amenities include 24-hour in-room dining and complimentary Internet access. Several specialty suites are available, offering a window deep soaking tub in the bathroom, heated floors and double vanity, plus a separate sitting area with a day bed and flat-screen TV. Couples will have access to several amazing restaurants and bars. At the 100 Century Avenue Restaurant & Bar, enjoy incredible views from the 91st floor of one of the world's tallest buildings. The restaurant has a show kitchen so you will never be bored, and an extensive wine list of over 500 labels. 100 Century Avenue Bar features a Jazz trio and guest vocalist. Dining Room serves fine European provincial food at Dining Room in an elegant setting with spectacular views. Enjoy contemporary-style casual eatery that serves breakfast, all-day comfort food and a la minute buffet supper at Pantry. Celebrate a special occasion at Chef’s Table which offers seating for 12, a designer kitchen, an individual music system, direct access to wine cellar housing 300 international wines. From a hot nightclub to several bars and lounges, the hotel offers a diverse choice of entertainment. The highest nightclub in the world, the Music Room, serves an extensive collection of specialty drinks, whisky and cocktails. Visitors enjoy music performance, resident DJ, Ladies Night and other special events. Bar Level 87 has a circular layout with spectacular city views. Shanghai Lounge is a 1930's style bar with intimate leather-lines booths and a romantic atmosphere. The Living Room has magnificent views of the bund and serves sophisticated Chinese and Western light dishes. this lounge is famous for its Afternoon Tea and Champagne at sunset. From luxurious Standard rooms to incredible suites, the hotel offers diverse choices for couples and families. The 55- to 60-sq m standard King room offers Huangpu River or city views. Park Deluxe King measures from 66 to 80 square meters, deluxe rooms have modern interiors and luxuries like a soaking tub for relaxing between sightseeing trips. Enjoy spectacular city views from the spacious master bath tub which is set right next to the window in the spacious 130 square meter Park Suite King suite. If you are planning to host a party, take a look at the luxury 175 to 185 square meter Diplomatic Suite that includes a double-king bedroom and separate living and dining rooms. Views of the city skyline are incredible. The Chairman Suite is the most opulent suite at the hotel, measuring 194 square meters. Panoramic Huangpu River and top-of-the line amenities make this an amazing place to stay. Rooms start at US $320 per night. The hotel often offers deals, such as the "Buy 2 Get 3rd Night Free" promotion which gives you a free night, breakfast and free Tai Chi class (+86 21 6888 1234). Hyatt on the Bund Shanghai offers incredible views of the Bund and Pudong from its guest rooms, restaurants and bars. The hotel is located at the northern end of the Bund on the banks of the Huang Pu River in Shanghai, China, Asia. Ask for a River View King room for panoramic views of the Huang Pu River or the Bund's colonial buildings. Room amenities include a work desk, flat-screen LCD TV, spacious bath with deep soaking tub and rain shower, and iPod docking station and high-speed Internet access. Luxury suites offer spacious layouts and private balconies with city views. Suites come with executive floor benefits such as breakfast, cocktails and meeting room upon request. From Vue Restaurant Sunday Champagne Brunch and Afternoon Tea in the Tea Room to restaurants serving dishes from around the world, there is something for every palate. Restaurant Aroma serves Chines, Japanese and European specialties. Vue Restaraunt, located on the 30th floor of the West Tower, serves western cuisine. Vue Bar offers some of the best views of Shanghai. Room rates start at 1,320 CNY per night. You may also like: 16 Coolest Hotel Bath Tub Views. Perfect for art lovers, The Swatch Art Peace Hotel in Shanghai lets you stay in a luxury suite next to world's leading artists. The hotel was just honored with a membership in the prestigious Leading Hotels of the World. The hotel is both a hotel in a traditional sense and an artist residency where artists live and work. You will be surrounded by an air of creativity when you check into this unique hotel situated in a historic building in Shanghai. In the design phase of the hotel, owned by the Swatch Group, the heritage and historical importance of the building were carefully preserved. The Shook! Restaurant on the fifth floor serves contemporary Asian and Western cuisines, coupled with fine wines. Outdoor seating lets you enjoy views of the Bund and the lights of Pudong. The terrace is perfect for after-dinner drinks. When it was built in 1908 (then it was known as the Palace Hotel), the 5-story hotel was the tallest building in the city. It had the very first roof terrace in Shanghai. The hotel has seven guest suites and rooms decorated in modern contemporary style. Located on the fourth floor of the hotel, the suites feature one of the following themes: Peace, Happiness, Prosperity or Good Fortune. The Peace Suite combines the British colonial past with contemporary elements. The walls are white, with the roof and the floor made from Chinese elm. To the left of the entrance is an elevated sleeping area with a king size bed offering scenic views of The Bund. The bathroom is located in the center of the suite. There is a dining table and a living island with a wet bar. The inspiration for The Happiness Suite, the largest of all guest accommodations, are Chinese arts and crafts, with large black shadows imitating Chinese calligraphy. The luxury suite has a sitting room, a bar and entertainment area. The walls in the living room are covered with a paper "garden" made of hundreds of leaves. Rates start at CNY 3,220 per night.